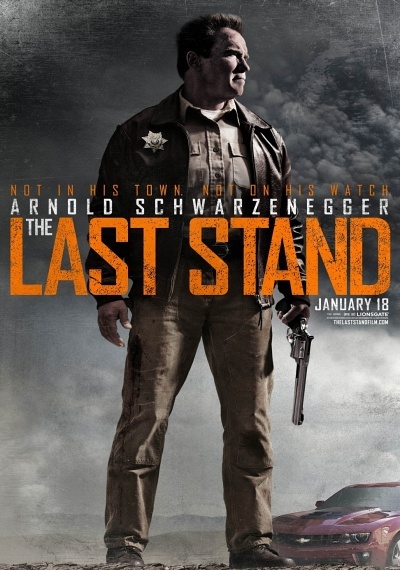 The Last Stand :: Movie Information :: RabbitTV GO! After leaving his LAPD narcotics post following a bungled operation, Sheriff Ray Owens (Arnold Schwarzenegger) moves to a sleepy border town filled with characters like local gun enthusiast Lewis Dinkum (Johnny Knoxville). But that peaceful existence is shattered when the most wanted drug kingpin in the western hemisphere makes a deadly escape from an FBI prisoner convoy. Headed straight for Owen's border town, the Sheriff is at first reluctant to become involved. But when U.S. law enforcement counts him out he ultimately rallies his team and takes matters into his own hands, setting the stage for a classic showdown.